No one truly wants to return to the 1980s— “an era of big hair, big phones, and big egos,” said Margaret Carrigan in Observer.com. But the decade of AIDS and junk bonds was also a formative period for contemporary art, and the Hirshhorn’s new 150-piece survey proves much of the era’s work still relevant. The catalysts were several downtown New York City artists who “blurred the lines between art, entertainment, and commerce.” Building on Andy Warhol’s legacy, Jeff Koons, Jenny Holzer, Richard Prince, and others explored ways to employ commercial culture as a medium in itself while resisting that same culture’s power to shape individual lifestyle choices and notions of self. It’s a necessary nostalgia trip, but “also a sad one,” said Philip Kennicott in The Washington Post. In truth, “there is little pleasure in much of the work on view,” and many reminders that the 1980s marked a wrong turn for both the art world and our larger culture. 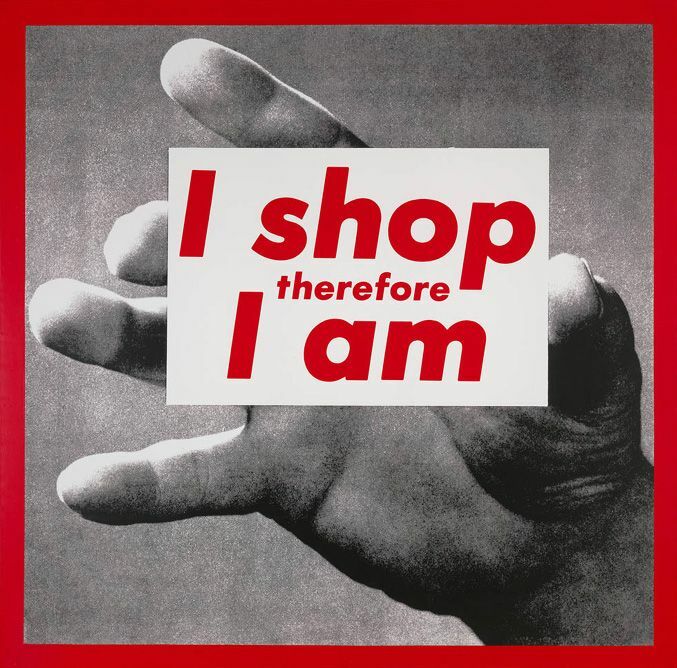 The work that holds up best was created by artists who rejected the decade’s mix of “sunny, mindless optimism” and Gordon Gekko avarice: Dissent is the clear point of Barbara Kruger’s 1987 silk screen I Shop Therefore I Am, and of the Gran Fury collective’s iconic “Silence=Death” logo, which shamed Ronald Reagan for refusing to address the AIDS crisis. But those pieces share space with work that gleefully embraced art’s commodification, such as a faux cocktail billboard by Koons and David Robbins’ 1986 collection of glamour portraits of other artists. Though the show doesn’t explicitly take sides, it “feels celebratory,” presenting the “least critical, most vapid” work as if its ironic stance toward art’s commodification justifies the crassness of today’s art market.